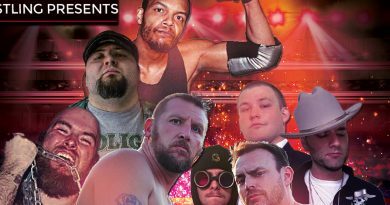 World’s Best Wrestling Returns to the Red Barn Pavilion in Winchester, Ohio on Saturday June 16th. 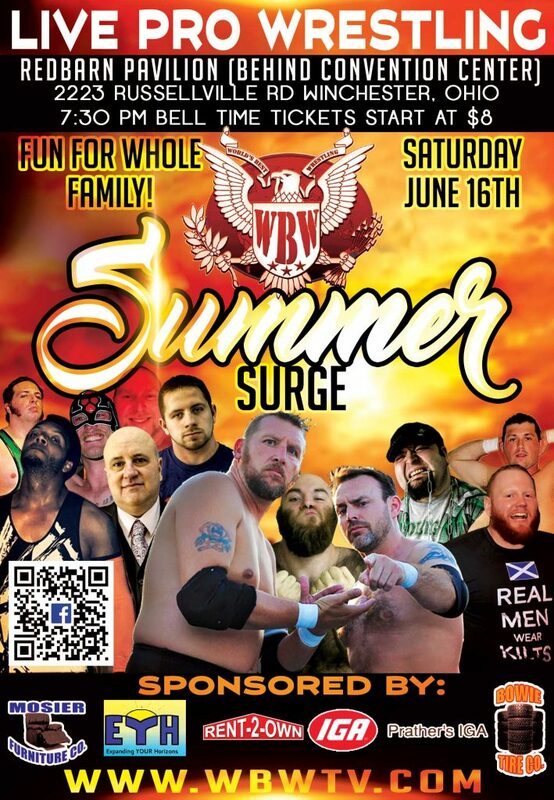 The Red Barn Pavilion is located at 2223 Russellville Rd. 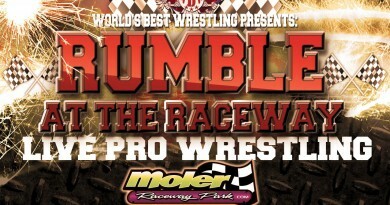 in Winchester Ohio, right of SR 32 behind the Red Barn Convention Center. 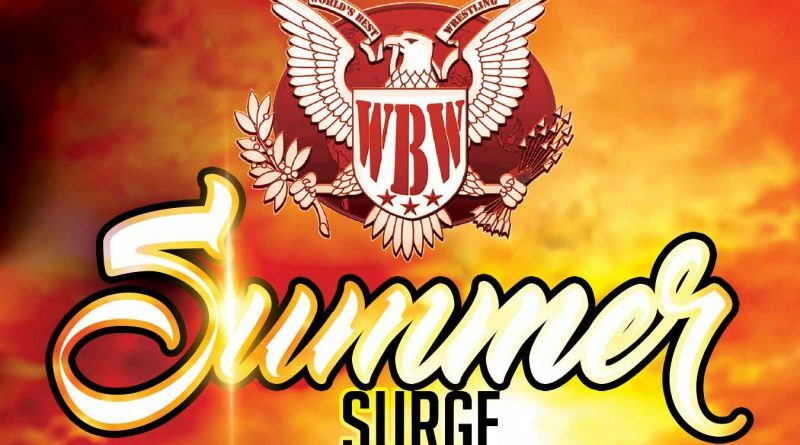 Bell time is 7:30 PM, and advance tickets including front row reserved, discount general admission and family 4 packs can be purchased at WBWTickets.com. 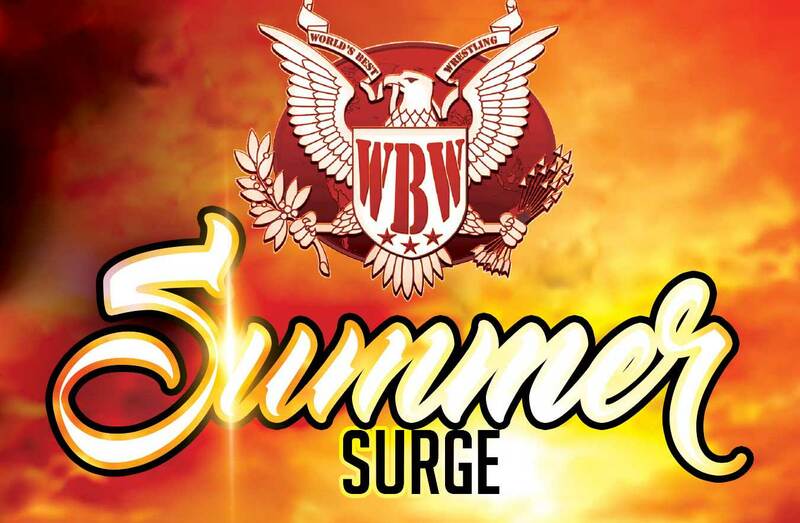 WBW: Summer Surge is sponsored by Mosier Furniture, Bowie Tire, Rent 2 Own, Prather’s IGA, and EYH!